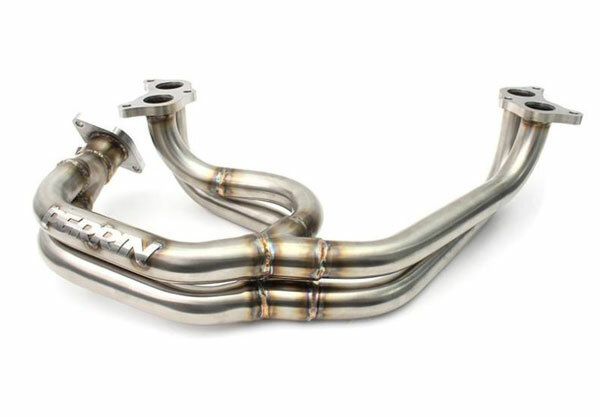 Perrin Performance PSP-EXT-055 - Perrin Performance Subaru WRX Equal Length Header 1.5" Primaries; 2002-2014. Create a smooth sounding exhaust note while increasing horsepower and torque with the PERRIN E4-Series Equal Length Header. Completely Redesigned - The new PERRIN E4-Series Equal Length Header comes with collectors that have been designed for better exhaust flow while allowing the headers to be constructed much more accurately. The improved exhaust flow and more precise construction increases power and reliability. The new E4-Series also has a low-profile design, allowing for excellent of ground clearance. The equal length design of the PERRIN E4-Series Header produces smooth, balanced exhaust flow from the heads to the turbocharger giving you the best of two worlds: quicker turbo response as well as more horsepower and torque throughout the entire RPM band. While designed to fit to the factory up-pipe, our header will also mate with an aftermarket up-pipe that fits factory header and turbo, as well as any rotated turbo kits compatible with the factory header. You won&apos;t see grossly over-sized tubing to make our header look impressive, this just slows exhaust gas flow and reduces response. PERRIN headers uses 1.5 and 1.625 (big tube) primary tubing that is expanded at the flange to fit the Subaru exhaust port size. These tubing sizes are perfectly designed for cars up to about 400 wheel horsepower and above 400 wheel horsepower, respectively. You can see from our dyno graphs that there is a significant gain in horsepower and torque across the entire RPM band compared to an OEM Subaru header. PERRIN Flanges are CNC machined from 304 stainless steel and counterbored on the back side to make smoother transitions. Flange ports are sized properly to ensure exhaust coming out of the head has a smooth, unobstructed path to the tubes. The ports are not over-ported which would cause gaskets to burn out quickly. The tubes are expanded inside the flanges for a perfect fit and smooth flow of exhaust gases to the tubes. Due to its equal length design, the PERRIN Header will alter the tone of your exhaust. The exhaust pulses from the engine are equalized and spread out producing a smoother, more refined sound. A byproduct of the equalization is a significant reduction in the volume of your exhaust sound. Some describe the sound as being similar to an inline four cylinder engine exhaust. Most headers collect on the passenger side of the engine, and due to space constraints, are not equal length and compromise exhaust flow. Because we use the added room provided by the oil pan (only on 2.5L turbo pans), we can create a smooth transition of the header primaries to the collectors, and collectors to up-pipe, providing more power and torque then the competition. PERRIN E4-Series Equal Length Headers feature a brushed stainless steel finish. 2.0L WRX engines will need the 2.5L STI oil pan install kit. 2002-2005 WRX - Yes, requires oil pan with header cutout and oil pickup tube, and custom modification to the radiator line to the transmission. 2002-2005 WRX - Automatic Transmission Yes, requires modifications to radiator. 2006-2007 WRX - Yes, requires 2002-04 WRX oil cooler assembly and oil feed pipe. 2004-2008 Forester XT - Yes, requires oil pan with header cutout, oil pickup tube, 2002-04 WRX oil cooler assembly, and 2002-04 WRX oil feed pipe. 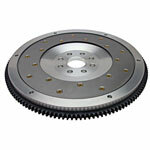 Below are other popular parts other customers have purchased for their Subaru Impreza / WRX / STi.